Tonight, the San Francisco 49ers will travel to Green Bay, Wis., to take on the Green Bay Packers. On the surface, San Francisco in California and Green Bay in Wisconsin are as far apart as two cities can be. San Francisco is a liberal stronghold of coastal elitism and Green Bay is a typical oasis of midwestern of conservatism. Hillary Clinton beat Donald Trump in San Francisco County in the 2016 Presidential election by 75 points but lost to Trump in Brown County, Wis., by 10. White privilege does not come with a dollar sign or a bank account. It can be something as simple as the house where you live. Two children—one black, one white—can live in the same kind of house in the same kind of town. Even if the two homes are worth the same amount of money, if the white child happens to grow up in a white neighborhood, his home is more valuable because it affords the white child opportunities the black child doesn’t have. The cities of Green Bay and San Francisco could serve as case studies on how segregation can be used to marginalize children of color. They both employ strategies of separation that disproportionately affect black and brown children. Even though the towns’ tactics are totally opposite, they both result in the non-white children receiving a lesser education than their white counterparts who live in the same cities. A few months ago, while speaking in New York on a panel for the annual conference of the American Educational Research Association, a group of educators from San Francisco asked if The Root might be interested in covering the whitening of San Francisco’s public schools. After listening to the statistics, I was amazed at how black children could be systematically erased in one of the most progressive cities in America. A few weeks after that conference, I was in New York again, this time as part of a fellowship for John Jay College College of Criminal Justice. Another panelist, James Peterson, the Chief Judge for the U.S. District Court for the Western District of Wisconsin astounded me again when he pointed out that Wisconsin incarcerates black men at a higher rate than any other state in the U.S. through the school to prison pipeline. I didn’t even know there were black people in Wisconsin! And the Bay Area was the home of the Black Panthers and E-40! How could this be? Watch how segregation works hand in hand with privilege. San Francisco is one of the few places in America that is actually getting whiter. In 1990 the white youth population in San Francisco was 22 percent, according to KQED. By 2014, it had jumped to 33 percent. By 2040, census estimates reveal that San Francisco County is projected to have a non-Hispanic white majority—jumping to 52 percent. But San Francisco public schools do not reflect that reality. According to 2017 census numbers, blacks make up 5.5 percent of San Francisco County’s population and 7 percent of the San Francisco Unified School District. Asians are 34.9 percent of county residents and 35 percent of the school district. Latinx kids are 15 percent of the county and 27 percent of the student population. Almost 30 percent of children in San Francisco attend private schools — the highest rate of private-school attendance in California, and the third-highest in the nation. An exact count is not available, but public data suggest that the majority of students from high-income white families attend private schools. So what happens when a growing population of wealthy, white, politically active voters pulls their children out of public schools? Do you think they care about the quality of the schools in their communities? What would incentivize people who have no use for public schools to increase funding or resources in a state with astronomically high taxes? And if the wealthy white residents don’t care about the schools, why would local politicians and school board officials care? More importantly, how does this affect black and brown children? Well, the NAACP has declared a “state of emergency” for San Francisco Unified Schools; the district ranks as the worst school district for black student achievement. In 2017, 77 percent of SFUSD’s white students tested as proficient in English and language arts, while only 19 percent of African Americans did so. Thirteen percent of black students and 22 percent of Hispanic students were proficient in mathematics, compared to 7o percent of white kids according to the district’s data. A 2017 report by Innovate, a charter school startup in the Bay Area, showed that the achievement of black students in San Francisco public schools is directly related to poverty and race. Although black and Hispanic populations are dwindling, they still attend disproportionately segregated, low-income schools. And for some reason, in San Francisco’s whitest schools, black children performed better than they did in the poorer, more diverse schools. Conversely, the poorest, majority non-white schools were where black children performed worse. No one can say whether this is because teachers in middle-class white neighborhoods are more responsive, or if students in less impoverished, whiter neighborhoods have more resources. But the data is clear: Children in San Francisco’s poor, non-white neighborhoods don’t receive the same quality education. The rising prices of real estate and home ownership in San Francisco have grown so rapidly that NBC Bay Area reports that an annual income of $117,000 now qualifies a San Francisco resident for low-income housing. This reality has driven middle-income black families out of the city and relegated poor families to poverty-stricken neighborhoods, making black kids more likely to attend schools that no one cares about. Green Bay is different from San Francisco. Green Bay is an affordable place to live and, unlike San Francisco, it is becoming less white. Fueled by a growth in food processing factories, the Green Bay Press-Gazette estimates that the county’s Hispanic population will mushroom by 32 percent every 10 years. African Americans are 3.6 percent of Green Bay’s population, and whites make up 71.7 percent of the residents of the city. And while the median household income in San Francisco is $87,700, in Green Bay it is $43,500, according to Statistical Atlas. Green Bay is the same as San Francisco. Like many cities, Green Bay is segregated by race and poverty. Most of the Hispanic community lives in one area of town and the schools in Green Bay are a reflection of a conservative approach to racial disparities. The difference in how well black and white students perform on a national benchmark test. The likelihood that black students will be suspended from school.The difference between black and white student graduation rates. And even though Green Bay is 71 percent white, only one of the area’s four high schools comes close to reflecting the city’s white population—Southwest High. With a 67 percent white student body, Southwest High School is the least ethnically diverse school in Green Bay. According to U.S. News, Southwest also has the lowest percentage of economically disadvantaged students of any high school in the district. They are also the only two majority-white high schools in Green Bay. And this is not coincidence. Aside from the historical segregation in the city, Vox’s segregation school mapping tool shows that Green Bay actually draws its school zones to make segregation worse. So, like San Francisco, Green Bay’s poorest minority students are forced into the poorest, lowest-performing schools. And like San Francisco, this will probably continue because there is no incentive to change because the population is overwhelmingly white. Furthermore, the white parents whose kids aren’t zoned for Green Bay’s best schools simply send them to private school. While the city is 71 percent white, whites are a minority in the school district, at only 45.7 percent. The point of all this is that there are many different ways to take away opportunities from children of color. White privilege has nothing to do with being born with or without money. Sometimes simply being born on the right side of the tracks can give someone an advantage. If education serves as a launching pad, when we consider the disparities in education based on race in schools across the country, we shouldn’t wonder why some children, even in the land of opportunity, never get a chance to take off. 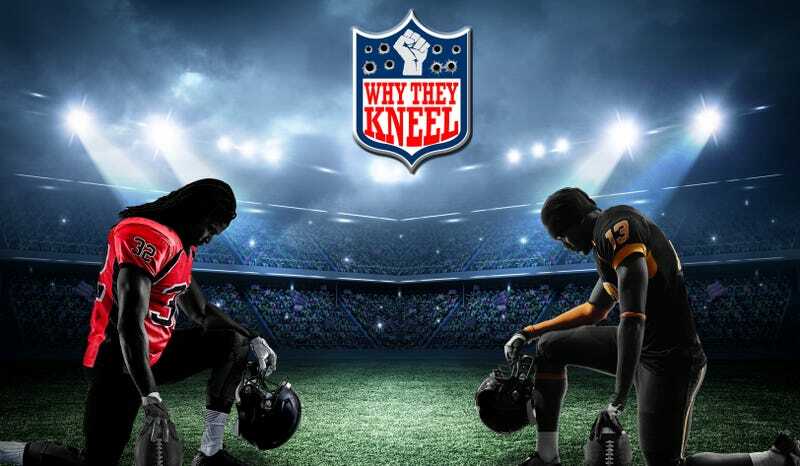 We also shouldn’t wonder why they kneel.